In the early 1970s, George Silk, a former Scott apprentice, developed a roadster based on the familiar water-cooled two-stroke parallel twin format. The Silk 700S used a 653cc engine that produced 47bhp, housed in a tubular steel frame made by Spondon engineering. Although top speed was only 110mph (177kph) the Silk was smooth, light and handled well. 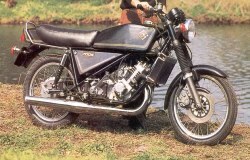 Small production levels led to high prices and problems with suppliers, however, and the last bikes were built in 1979. 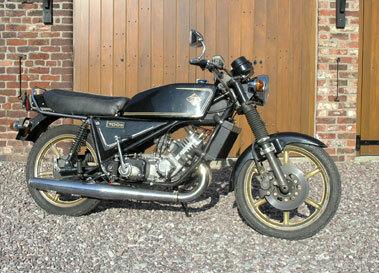 The Derby built Silk 700S was produced in limited numbers from 1975 until 1979. Conceived by former Scott apprentice and lifelong enthusiast George Silk the machines origins clearly lay in the Shipley product. The twin cylinder liquid cooled two-stroke produced approximately 47bhp which combined with the models low weight resulted in brisk performance. The frame was the work of the Spondon concern as were the heavyweight forks, endowing it with handling of the highest quality whilst top line AP Lockheed brakes ensured that the motorcycle could be retarded effectively.